Audi's 'S' series of cars occupy a narrow but well-defined niche. Not quite as focused as BMW M cars nor as powerful as the heaviest hitting AMG Mercedes models, they nevertheless offer serious performance with impeccable build quality. If you feel the need to ramp the intensity levels up a notch or two higher, Audi also offer the premium sports RS models but for most A6 executive saloon and estate buyers, the 'S' treatment was quite sufficient. 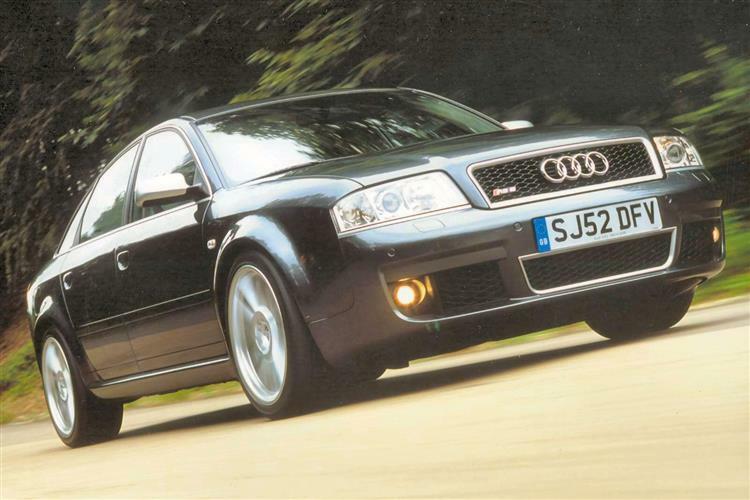 The 340bhp S6 we look at here was created in late 1999 and was justly popular. As a result, there's no shortage of choice for used buyers. The inkling that a sporty Audi A6 may be on the way was betrayed by the introduction of the 295bhp A6 4.2-litre quattro models in February 1999. With a longer bonnet than the rest of the A6 range to house a monster V8 engine, the A6 4.2 was quick but designed to cater to an executive audience with a whole host of luxury fitments and comparatively soft suspension. Some wondered what the car's raison d'etre was given that it wasn't significantly quicker but markedly thirstier than the 2.7T model that Audi already offered. 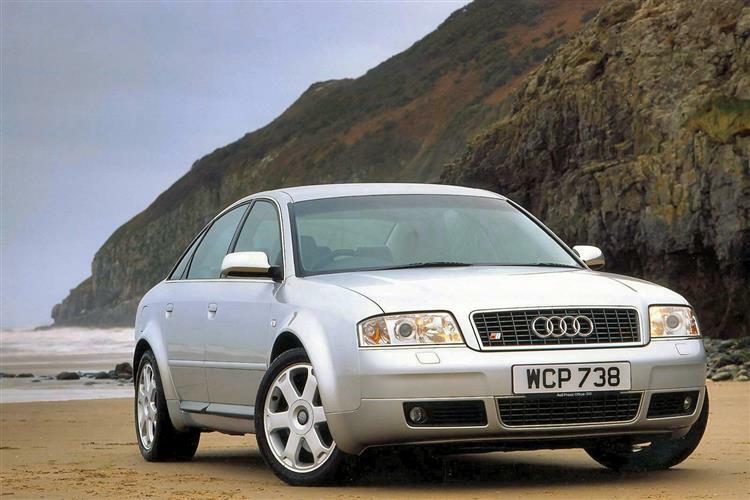 The S6 answered many of these questions but wasn't unveiled until late 1999, the first cars starting to appear in UK dealers at the turn of the year. With 340bhp on tap, it wasn't the BMW M5 basher that many had hoped for, Audi instead concentrating on a firmer ride, a more aggressive look and feel and a few tenths knocked off the benchmark sprints. Available in saloon and Avant estate, it was nevertheless very popular. Visual clues to the S6's identity are few. There are tiny boot badges, an S6-badged Audi Sport front radiator grille, brushed aluminium door mirror casings, 17-inch Avus six-spoke alloy wheels and twin stainless steel exhaust pipes. In other words, the neighbours need never know. The interior looks and feels the part. The Recaro sports seats are trimmed in a combination of Alcantara (a kind of suede) and soft leather, while the dash and doors get carbon fibre inserts (or traditional wood if you prefer). As you'd expect for the money, equipment is pretty comprehensive (climate control, six airbags, cruise control, electric everything etc, etc), though for those with more to spend, there were still plenty of options, including a colour TV built into the dashboard. Specification improvements introduced towards the end of the car's life included the addition of Xenon Plus headlamps, an air quality sensor and a 'Symphony II' radio with front dash-mounted CD autochanger and cassette. Not too much, really. There have been some tales of niggling unreliability but nothing too serious so far. The quattro system is reliable and well proven but it's best not to allow a local spannerman to fiddle with it. The complexity of the car should be enough to ensure you insist on an S6 with a cast-iron service history and, at this stage, Audi dealers are still likely to have the best examples. The premium they charge may be well worth your peace of mind. Interiors are hard wearing and well designed, much like the rest of the car. As for corrosion, with an Audi you're pretty safe and there's a lengthy anti-perforation warranty to reassure you (ensure any conditions have not been breached by previous owners). 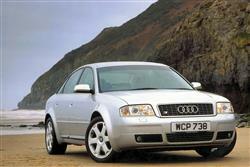 (based on a 2000 4.2 S6 quattro Saloon - ex Vat) A clutch assembly is around £265. Front and rear brake pads should be about £85 a set. A radiator is about £195, an alternator about £275 and a starter motor £195. For those unimpressed by the 'mere' 340bhp on tap in the S6, consider this. There's not much point in having huge reserves of power if every time the heavens open, you spin it away on the wet tarmac. Yes of course, the BMW M5, the Jaguar S TYPE R and the Mercedes E55 AMG all have sophisticated traction control and dynamic stability systems but it's not the same as having all wheels driven. The familiar quattro four-wheel drive system in the S6 means that this car will beat its German rivals to any given cross-country destination in anything other than bone-dry conditions. And even then, it won't be far behind. Sixty is just 5.7s away from rest on the way to an artificially-limited top speed of some 155mph. Which ought to be fast enough for most. And even if it isn't, there are other compensations. Like the fact that the S6 is less expensive than many of its rivals. The Audi S6 is in many ways the forgotten car in the executive express class. The BMW M5 is the car for the serious driver and the Mercedes E55 the default choice for the autobahn wafter but the Audi strikes a good value and well built compromise between the two. Despite the fact that it's been superseded by a newer shape car, the S6 still looks a class act.